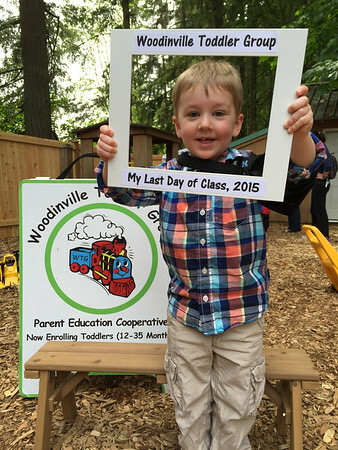 Today Cooper graduated from Woodinville Toddler Group. He has been in this program once a week for the past two years. 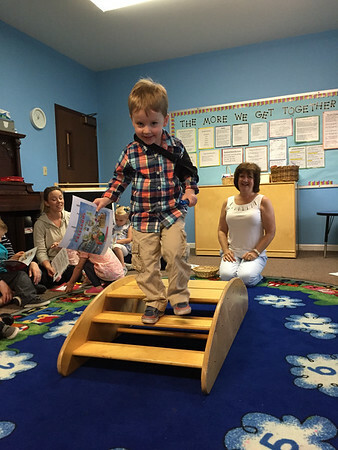 It was really cute to see him so proud getting his certificate and crossing over the bridge. 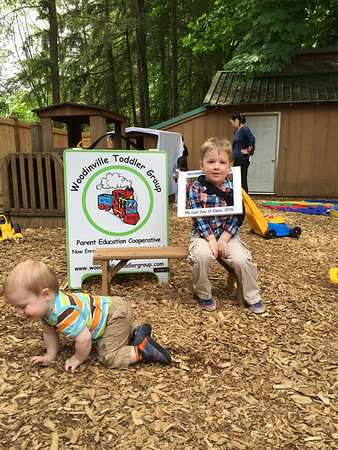 We are so proud of how much he has grown during this time and look forward to what new things preschool will bring next year. 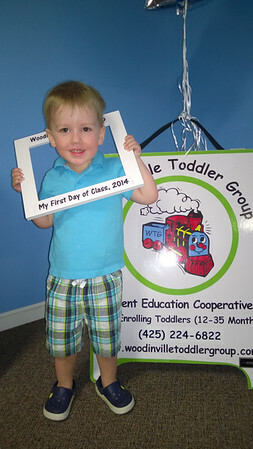 First day of toddler group 2 years ago and first day of toddler group this year. 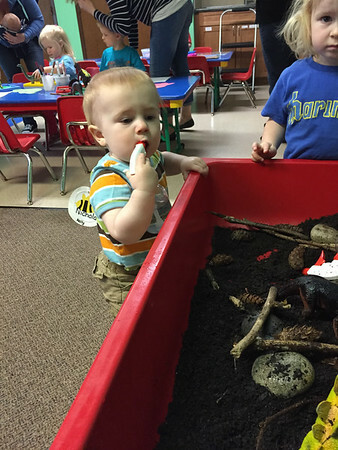 Nicholas definitely warmed up to the toddler group and started making some of the art projects and playing in the sensory tables these last couple of months. He is still most happy when I am in the room and holding him unless there is something really cool that catches his eye, such as this squirt bottle. 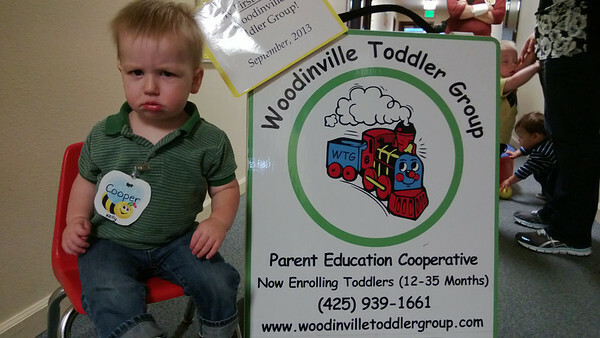 Nicholas will be the one holding the sign next year as he starts his own Woodinville Toddler Group experience.